With previews of a new production of The Wizard of Oz at The London Palladium this week, I thought it was an ideal time to review two novels set in the world of Oz that were written by James C Wallace II, who regularly posts comments to A Bad Witch's Blog. James sent me pdfs of his two novels about the magical world made famous in L Frank Baum's The Wonderful Wizard of Oz - entitled Magician of Oz and Shadow Demon of Oz. James said: "I hope you'll consider a review for each. Sometimes, it's good to look at the other side of magic... Even if it is fiction." Now, I don't often review new fiction on A Bad Witch's Blog - I've got a huge pile of non-fiction waiting to be read and if I do decide to pick up some fiction once in a while I usually stick to classics or authors I know. However, I had some very good reasons to read these, quite apart from the topicality of the setting. First, James seems like a really nice bloke; second, I was keen to try out reading books in pdf format on my new Kindle. I've been reading the books on my Kindle on the bus when I visit my elderly mum, who is in a nursing home while she recovers from a bad fall. I needed something light and escapist to cheer me up, as this has been a stressful few weeks. James' short novels fitted the bill perfectly. 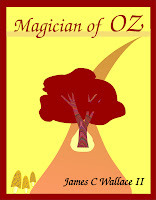 Magician of Oz is the story of Jamie Diggs, grandson of Oscar Zoroaster Diggs - the Wizard of Oz himself. Jamie inherits his grandfather's trunk containing all sort of apparatus to perform stage illusions. Inspired by this, he takes up sleight of hand as a hobby. I'm guessing this is what author James meant by "the other side of magic" and I certainly did learn something about what it takes to perform magical illusions. However, Jamie Diggs soon discovers that some of the items in the trunk have powers that go beyond stage magic and he finds himself transported to the Land of Oz. There he meets many of the characters from L Frank Baum's fictional world, including Dorothy, Glinda the Good Witch and the Tin Woodman. The story is a charming tale of travel through the fantastic lands of Oz, sunny days, wonderful banquets and meetings with characters familiar to anyone who has read the original Oz stories, seen the movie or gone to a stage production. Jamie learns that in Oz he can do real magic as well as perform illusions, and eventually must use his powers to defend the realm from attack by rebellious sentient trees. James' second story follows on from the first. Jamie Diggs returns to Oz to defend it from a threat greater than walking woodlands. A shadow demon, which came from a distant part of the galaxy on a comet, is terrifying the inhabitants of Oz and threatening to steal their spirits. Jamie must use his magical powers - and his wits - to defeat evil. This is a somewhat darker book than Magician of Oz, and shows James' ability as a writer of children's fiction. Although I don't often read children's novels, sometimes, when life is tough, it can be good to escape through a book to a place over the rainbow where dreams can come true. I can also confirm that reading books in pdf format on a Kindle is pretty easy, so long as they are mostly plain text and have regular page sizes. Large books and those with lots of pictures or complicated layout styles are not quite so easy to read. 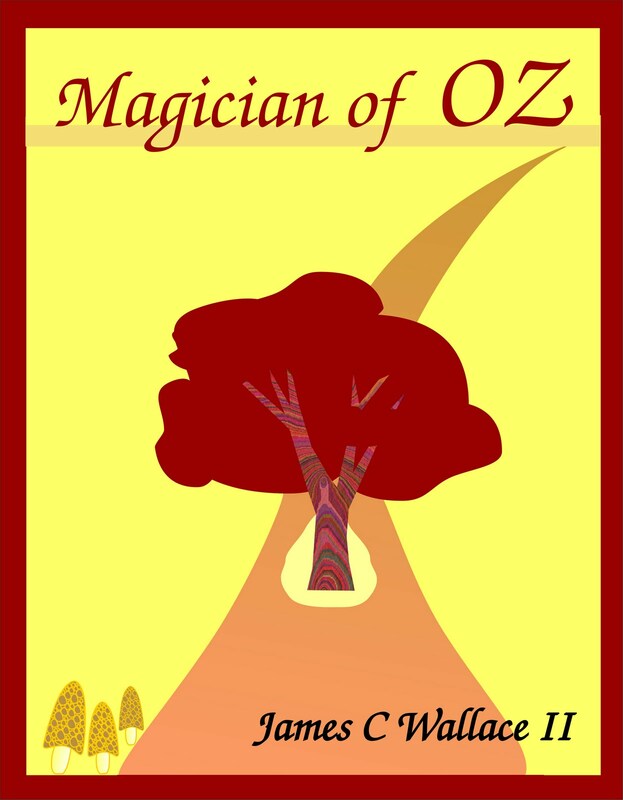 However, if you want to try these books on your Kindle, you won't have to use pdf format because Magician of Oz is available in traditional book format and Kindle edition through Amazon. 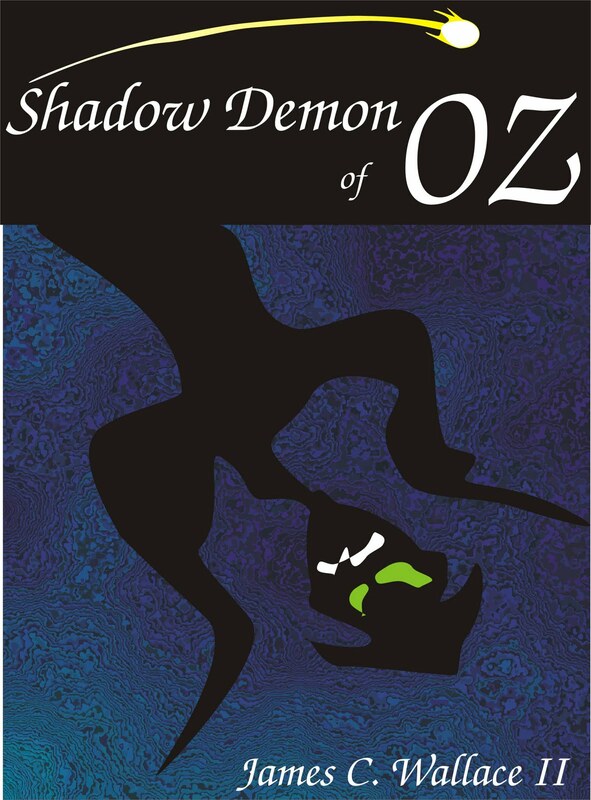 Shadow Demon of Oz is also available in Kindle edition. Regular performances of The Wizard of Oz Musical will be on from 1 March at The London Palladium, Argyll Street, London W1F 7TF. You can call the box office to book tickets on 0844 412 2957. I'd like to take this opportunity to thank you for your kind review and even kinder words about me personally. As an author, we want only for others to enjoy the vision that we put down on paper (or in this case, put down on electrons). For me, Oz has been a means of expressing my message in a way that makes me very satisfied. I noticed that the UK does indeed have its own magic convention coming up in a matter of days.